So it’s done now! I had spent over a month for this theme and worked for over 12 hours a day.I did all this for your enjoyment so want you guys to buy this theme and support me for my future themes! This is windows 8/8.1 version. 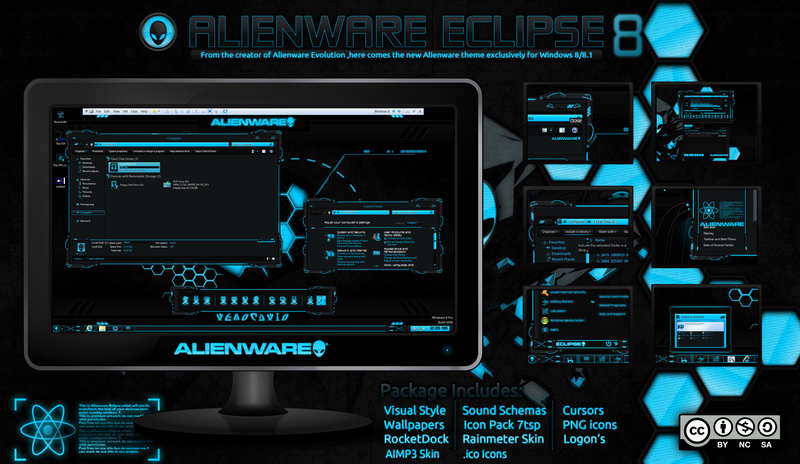 Alienware evolution was one of my greatest and most liked theme so I decided to make a new alienware theme and the result is Alienware Eclipse. Whole new interface, new start, sounds.Everything redesigned! You will love this! -Installer will detect which version of windows you are using and will copy the right .msstyle file. -Only blue version is released right now. 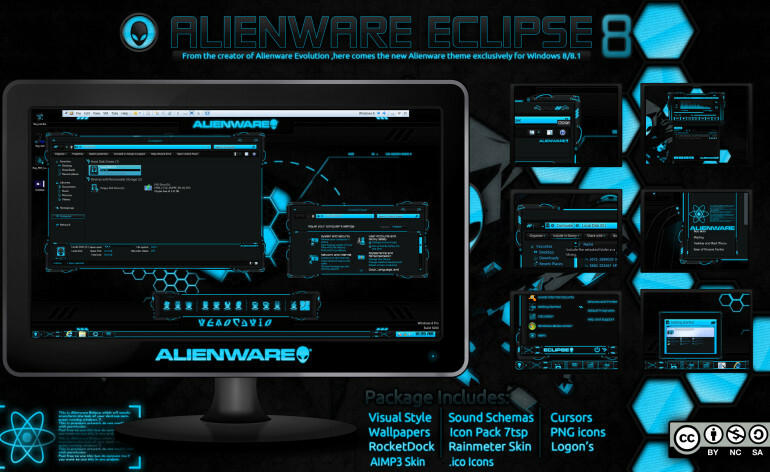 *Note: This download is a Patch for Alienware Eclipse and will patch/update only if Alienware Eclipse is installed on your system.